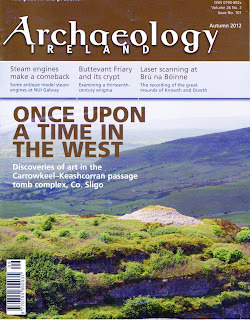 At the start of the year I set myself a personal target of providing in-depth reviews of four consecutive issues of Archaeology Ireland for this blog. While this is the third in the series, I’m running quite slow as the fourth edition for 2012 (No. 102) is already in the shops. Nonetheless, I hope readers enjoy this review and consider going out and buying their own copies, or better still, getting a regular subscription! Talk to the good people at Wordwell Books here and tell them I sent you! In 'A font of majuscule proportions at Tallaght', Chris Corlett reports on possibly the largest font in Ireland. It is carved from a large granite boulder, 1.65m x 1.6m x 0.6m thick and, Corlett estimates that it is approximately six times bigger than the average Medieval font. He argues that the font was not intended to be placed inside a church, but to stand outside in the open air - though it may have been part of a purpose-built baptistery. While recognising the difficulties of dating the font on the basis of size alone, he does raise the possibility that it was created by the Céili Dé (or Culdees) during the eighth or ninth centuries and may thus relate to their own ideas about baptism, possibly requiring a remarkably large receptacle. Whatever the origin of the piece, Corlett is to be (once again) credited for bringing such an interesting and unusual item to wider public notice. Eoin Bairéad, in his 27th installment of 'News from the Net' provides his usual and very useful roundup of interesting and entertaining news items. Among Bairéad's haul is a note on a 'fifteen-year-old paper, still relevant' by T. G. Fewer: The archaeology of the Great Famine: time for a beginning? 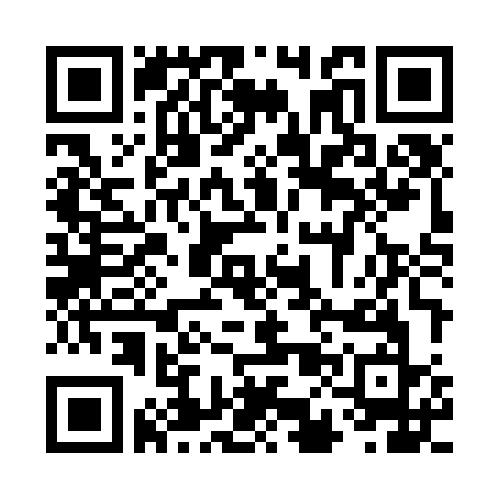 which was recently published on this blog. Also from here is the mention of the plight of the Drumclay/Cherrymount crannog in Co. Fermanagh and the shameful treatment of some of the archaeologists who, when all other avenues were exhausted, were brave enough to come forward as 'whistle blowers'. Eoin also mentions the Late Iron Age and 'Roman' Ireland (LIARI) conference at TCD, which partnered with this blog to raise awareness. While I couldn't make it there in person, I believe it was a big success and look forward to reading more about the research papers presented there. I realise that it's unfair to confine myself to mentioning references to this blog in the paper, so I commend the reader to Eoin's very useful collection of links to all of the news items. Pat Wallace provides a moving obituary to Etienne Rynne (1932-2012) "One of the great characters of Irish archaeology". Etienne was my Head of Department for my BA at UCG. To say that he and I had, at times, a tempestuous relationship would be an understatement. In the heat of argument he shouted abuse at me that no Prof. should ever say to an undergraduate ... then again, I returned abuse that no undergraduate should ever inflict on their Prof. I suppose that made us even. Although we fought, we always made it up - mostly to the detriment of our respective livers. Whatever about the archaeology Etienne taught me, I will forever remember him as the man who introduced me to both Kir Royale and hot port. For all his fuss and bluster, he was a remarkably generous tutor, giving freely of his time, library and encyclopedic knowledge. I will remember him with great fondness and huge thanks. I say goodbye to not just my old Prof., but to a good friend. The next paper, 'Cherrymount Crannog, Fermanagh' is by me! 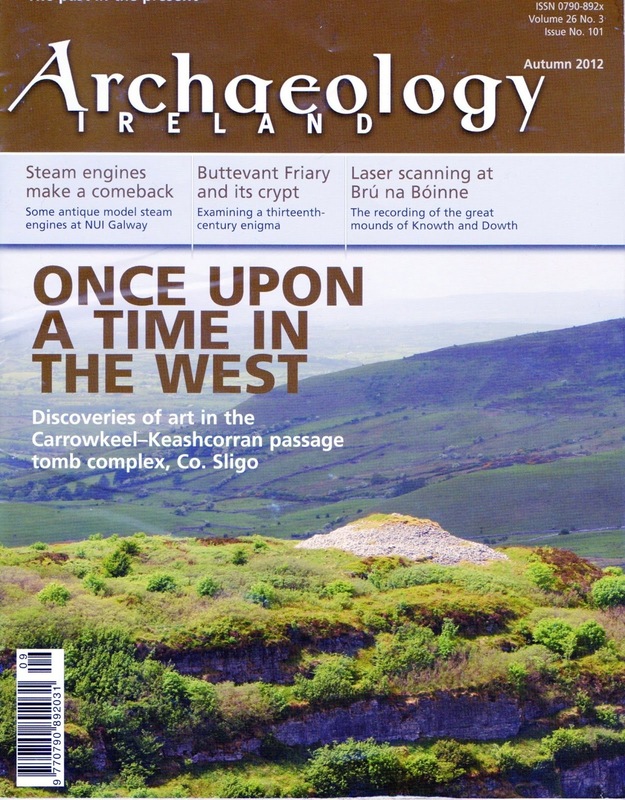 In it I outline the circumstances and timescale behind the discovery and investigation of the Early Christian crannog in the townland of Drumclay and why a public campaign was necessary to ensure that it properly resourced and recorded. Many readers will be aware that it was as a result of contact made by a member of the site crew that prompted a post on this blog that helped bring attention to the site. As is my usual wont, I have uploaded a PDF version of the paper to my Academia.edu site: here. Since the publication of the Archaeology Ireland article Matthew Seaver, Jean O'Dowd and I co-authored a paper delivered to the IAI conference in Belfast. A version of that paper is also available on this blog: here. Stephen Davis, David Strange-Walker, and Marcus Abbott present the results of 'Laser scanning at Brú na Bóinne', specifically the great Neolithic passage tombs at Knowth and Dowth, Co. Meath. The project had the aims of creating a baseline record of the current position of all stones within the tombs; to record a large proportion of the megalithic artwork in high-resolution 3D; and to allow the creation of accurate computer models of the sites - both internally and externally. While the authors state that the post-processing of the vast amount of collected data is still ongoing, some initial results are available. These include incredibly detailed sectional views through the sites, clearly demonstrating the relationships between the passages and their mounds. The use of Polynomial Texture Mapping (PTM) allows individual decorated stones to be lit from various different angles to enhance the level of detail that can be recorded. In the cases of Knowth and Dowth, the interiors are difficult to access for all but a few. The data collected in this project is being made available via the Internet, so that armchair archaeologists across the globe can explore these spaces for themselves. I have written before about the beauty I perceive in these types of laser scans, and the images presented here are no exception. In addition, I would direct your attention to the photographic work by Ken Williams, who accompanied and documented the scanning [Website | Facebook | Blog]. His photographs in this paper amply illustrate the cramped and confined conditions in which the scanning took place. More generally, his archaeological photography is of the highest order. It is not just aesthetically pleasing, but it conveys a real sense of the places he photographs and makes me, at least, feel that I have learned something more about the monuments and their settings. In 'Trapping Witches in Wicklow' Eamon P. Kelly recounts an early experience carrying out investigations on behalf of the NMI [Website | Facebook] in April 1976. He describes the investigation of a 19th/20th century collection of objects concealed in a blocked up oven at Coolbeg House, Co. Wicklow. The artefacts included various metal items, such as a candle-snuffer, a bolt, a cramp, and a portion of an oval hoop. Other items included glass, ceramics, clay pipe bowls, animal bones, and apart of a possible shoe. Unfortunately, no explanation for the collection could be found at the time and the artefacts were eventually dumped. Skip ahead to January 2012 and the author was one of the speakers at a conference help by the Society for Historical Archaeology in Baltimore, USA [Website | Facebook]. In a session devoted to the archaeology of folk magic Kelly came to realise that the Coolbeg house material could be viably interpreted as a 'spiritual midden' where familiar objects were placed in strategic parts of a building to either deter or trap witches. He goes on to explain that the concealment of a shoe was among the most common ways of trapping a witch. The theory was that the human scent would attract the witch in, but once in the shoe they were unable to escape as (apparently) witches are unable to move backwards! Kelly notes that while such finds are relatively well known in Britain, there is only one example known to him from this island - a child's hobnail boot from the thatched roof of a house at Moneystown, Co. Wicklow. I know of one other example - when builders were removing the roof as part of the conservation works at the old Antrim Courthouse a child's shoe was discovered in between the rafters. If memory serves, it was not passed to the archaeologists conducting the excavation of the floor area and remains outside the archaeological literature. Inspired by what I then understood to be the inclusion of a shoe to promote 'good luck', I placed a pair of child's shoes in the roof space when my wife and I were renovating our house in 2010. To assist archaeologists of the future, we included a note giving names, dates and a full provenance for the shoes. As I say, we thought we were part of a pro-luck, rather than an anti-witch, movement - we may not be religious/particularly superstitious, but I've never heard of anyone coming to harm from having been TOO lucky! On the other hand, although East Belfast does have its own peculiar set of problems, it does not appear that witch infestation is among them ... Perhaps the shoes are working! Tom O'Connor, in 'Steam Engines Make a Comeback' discusses four sectional models of steam engines from NUI Galway that have been restored and put back on display. They date to the early 1850 and were once integral to the teaching of engineering in Galway. They were on display until the 1970s, when the engineering department moved to new premises. At this time they were put in storage and, largely, forgotten about. In July 2011 the department moved again and it was thought fitting to relocate, clean, and restore these beautiful models. They are now back on display and, if you are unable to travel to Galway and inveigle your way into the new building, you may read detailed descriptions of the models and view a number of photographs of them: here. Tadhg O'Keeffe sets out to examine a 13th century enigma. The Cork town of Buttevant was founded in the period between 1234 and 1260 and the author describes it as 'put simply, one of our most important medieval urban settlements, from both the historical and the archaeological perspective.' O'Keeffe discusses the unusual position of the Franciscan Friary, near the centre of the original town, rather than the more usual position of outside the walls, close to the town gates. The most interesting feature of the friary church is the crypt under the choir. It is a two-story, barrel-vaulted affair that is now only accessible from what O'Keeffe suggests may have been the chapter house. He explains that crypts are extremely rare in Ireland and that mendicant orders certainly did not possess them. He outlines the three commonly cited reasons for Buttevant's crypt: to accommodate the church built against the edge of a slope; that it may have functioned as an ordinary room, such as a parlour, a place for reclusive anchorites, or as a sacristy; or as a place for the veneration of relics or intended as the burial place for the deBarry family. He dislikes all of these possibilities and, instead, suggests a fourth option. O'Keeffe notes that on the north side of the church the outside walls of the choir and crypt are not completely flush, indicating that they are not of the same episode of construction. This opinion is reinforced by the exterior of the east wall of the friary church where two distinct periods of construction (as opposed to phases) are evident. He suggests that what is now the crypt started life as a separate building. O'Keeffe further suggests that the plan and dimensions of the 'crypt' recall Anglo-Norman 'Hall-Houses' and that the pilasters may be paralleled at a number of 13th century keeps in Munster. As the nearby Buttevant Castle is dated to 1220s, the 'crypt castle' would need to predate it. O'Keeffe suggests that it may have been a Gaelic-Irish castle-hall, similar to what he argues about Adare Castle in the forthcoming volume of JRSAI. He also argues that mendicants sometimes built their friaries on top of older castles, including Carrickbeg, Co. Waterford, Banada, Co. Sligo, etc. All taken together, I feel that the case is not wholly proven, but that the author has produced significant circumstantial evidence - certainly enough to warrant it being given serious consideration. You don't have to study megalithic tombs for long to come to the realisation that Passage Tomb art is chiefly an east-coast phenomenon. In particular, decorated stones are concentrated in the Boyne Valley and Loughcrew complexes. Robert Hensey and Guillaume Robin present their recent discovery of carved decoration on two construction stones at Cairn B in the Carrowkeel-Keashcorran passage tomb complex in Co. Sligo. Despite having been 'excavated' (and I use that term loosely) by Macalister in 1911 and infrequently visited ever since, no one has previously noted carved ornament at Cairn B. However, in 2009, using oblique light and the apparent conviction that there was art to be found, Hensey noticed what are now thought to be two spirals on Orthostat 5. Further analysis indicates that these are accompanied by zig-zag motifs. In 2010 a further decorated stone, bearing two concentric arcs, was found. The authors suggest that the presence of a cist recorded by Macalister, post-dating the main tomb, may have obscured Orthostat 5. They also suggest that the isolated location of Cairn B may have 'deferred discovery until now.' The authors place these new discoveries within the contexts of megalithic art from the west of Ireland, and passage tomb art generally. They then proceed to tackle what they, in a sweeping understatement, describe as the 'thorny problem' of dating this form of art. All I can add is that, for such a short piece, they manage admirably to encapsulate the difficulties inherent in this form of research. In ‘Death by Nostalgia - what architecture can learn from archaeology’ Hugh Kavanagh argues that buildings archaeology has much to teach architecture. In a closely-argued paper, he takes the position that 20th century modernist architecture foolishly cast aside its long and rich tradition for what he terms a ‘dreadful intellectual experiment and cultural cul-de-sac’. In essence he is arguing that restoration (bringing old buildings back into use) is superior to conservation (keeping them is a sanitized ‘bubble’). I will not attempt to synopsise all of his arguments here, but suffice it to say that it is a fascinating read with much to take away and ponder for both archaeologists and architects. In this edition of ‘Know Your Monuments’ Muiris O’Sullivan and Liam Downey provide their usual high-standard ‘spotter’s guide’ to earthen embanked henges. They devote short sections to the morphology of the type, their chronology, distribution etc. This is followed by a more in-depth look at the group of henges known from county Meath. These represent approximately half of the known sites on the island and are concentrated in the Boyne Valley. Within this, further sections note the incidence of adjunct structures, their occurrence in groups, associations with passage tombs, etc. Con Manning looks at some unusual graffiti in Co. Kilkenny in ‘Harping on at Kells Priory’. Some years ago the author noticed three harps carved into the plaster of a window embrasure in one of the claustral buildings in the south range. On the basis of the lettering style of an ihc Christogram on the same piece of plaster, Manning argues that these symbols are of late Medieval date and created during the tenure of the Augustinian order there. Indeed, closer examination indicates that this location is the site of numerous inscribed harps of various shapes and sizes. After a quick run-through of the occurrence of harpers in Irish archaeology (frequently on High Crosses) and the later history of the site, Manning suggests that the harp was deliberately carved by someone celebrating their Gaelic Irish identity in a period when it was in the ascendant. A second option is that the location of the carvings, in a room directly beneath the reader’s desk window of the first-floor refectory, was specially chosen. Manning argues that the proximity to a location where Scripture was read could have been seen as having a positive spiritual effect on the abilities of one learning to play the instrument. In either case, they are fragile and fascinating survivals from our Medieval past that still require much consideration and research. Staying on the topic of graffiti, George Knight puts a face to the name of a clergyman who chose to inscribe his name on the stones of the inner chamber of Newgrange in the Boyne Valley (‘Revd Naylor's desecration’). Rev. Thomas Bradley Naylor was a Church of Ireland rector in Killeevan, Co. Monaghan, and Warrenpoint, Co. Down, who added his name to the Neolithic site in 1894. Knight sees this as both a ‘desecration’ of the historic monument and a successful (especially considering this paper) of Naylor’s ascribing a ‘little of the immortality of the ancients who built Newgrange’ to himself. As usual, the final two pieces in this edition are by ‘Herodotus of Ballycarnassus’. In ‘Policing Fashion’ he draws parallels between the recent controversy in the Irish parliament about the quality of member’s dress, and an edict by King Eochaidh Eadghadhach in Anno Mundi 3664. While in ‘A ‘nice’ cup of tea’ he notes the recent results of residue analysis on a ‘black drink’ from pottery discovered at Cahokia, near St Louis. Like another famous ‘black drink’ it could induce dancing, vomiting, and falling down!